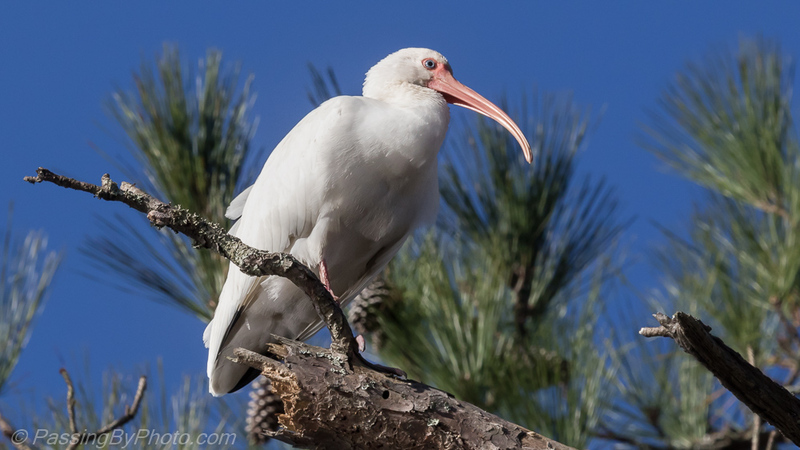 I usually end up discarding any photographs I take of White Ibis: they are dirty with gobs of mud hanging off them, they are surrounded by mud without so much as a blade of grass to add to the composition, they are dirty…you get the picture. 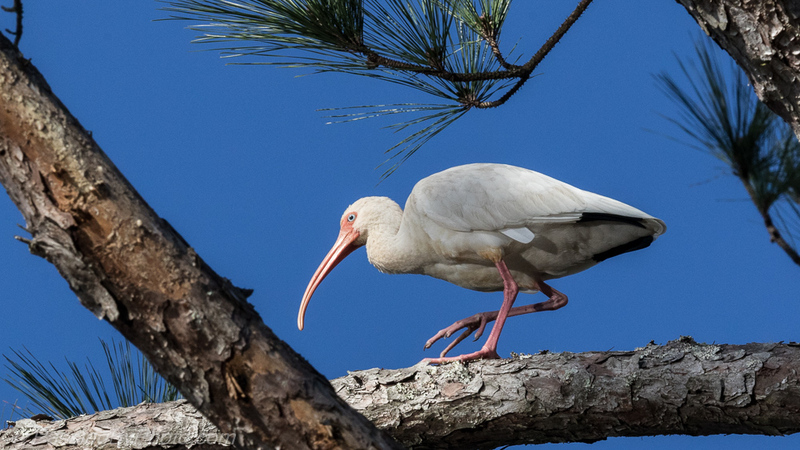 A group of 5 or 6 surprised me in a beautiful pine tree hanging over the trail, looking pretty clean. 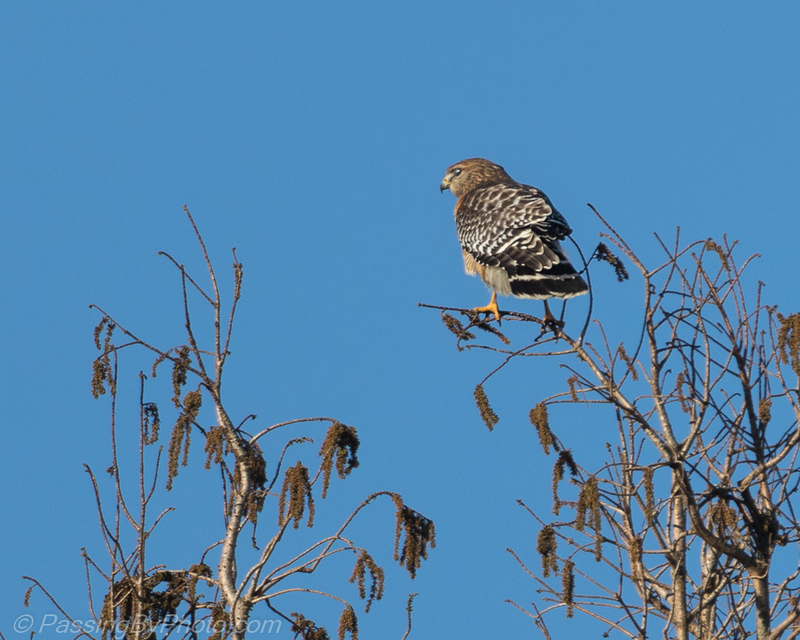 They flew up there when one of the local Red-shouldered Hawks was cruising the area.